The platform’s efforts proved to be a game-changer, especially given the commercial success; so, too, is the manner in which Fox Sports PPV events will be made available, as well as the extended period for such shows to remain available for purchase. 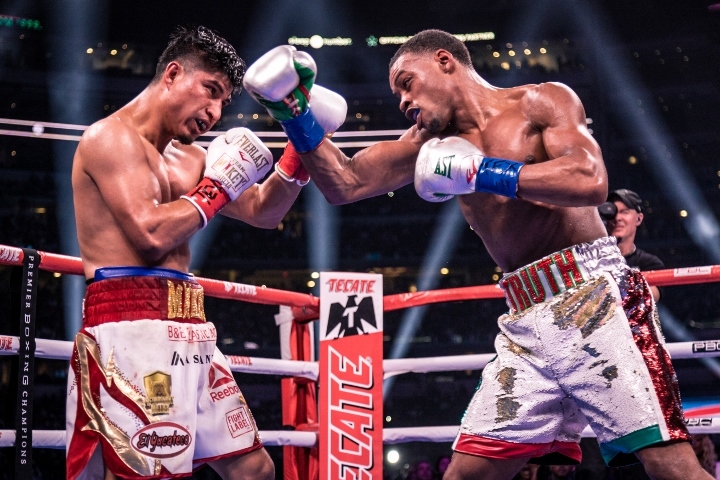 Simply put, if you were expecting to catch an exclusive rebroadcast of Spence-Garcia on Fox or a Fox Sports platform this weekend, you’ll have to wait much longer. Whereas past PPV events distributed by Showtime and—when they were still in the boxing business—HBO were made available one week later on their flagship station, Fox Sports will be taking a much different approach. For starters, the March 16 show will remain available for purchase through Fox Sports’ Video on Demand service. “Fans can still purchase the PPV at full price ($74.95) and get the full show for the next 30 days,” Fox spokesperson John Stouffer informed BoxingScene.com. The event will remain available via VOD until April 17. Sometime after that point, Fox Sports will replay the card—the main event plus some form of the undercard—on FS1, Fox Deportes and its digital platform. Given the brevity of the entire PPV undercard, it’s possible that the entire show could run at full-length—or even if slightly altered—and still fit within a desired two-hour window. That decision will come at a later time, according to Fox brass. Topping the bill, Spence (25-0, 21KOs) emerged as a boxing superstar, with his one-sided victory over four-division titlist Mikey Garcia (39-1, 30KOs) playing to more than 47,000 in attendance. The bout was Spence’s second straight in the greater Dallas area, minutes from his Desoto hometown; his 1st round knockout of Carlos Ocampo came in front of a sold-out crowd of more than 16,000 last June at The Ford Center in Frisco, Texas. The event also marked the first PPV headliner for both Spence and Garcia. Industry sources have the show selling anywhere between 350,000-400,000 PPV units, although representatives at Fox Sports declined comment when asked to confirm.